Happy Thursday! I hope you all have been having a relaxing week. I recently wore this red plaid, button down shirt with my favorite puffer vest from Oldnavy. This casual look kind of reminds me over a lumberjack, but cuter. I love the golden bronze sequins on the collar of this plaid button down. It adds a unique and girly feeling to what would have been just a normal collared shirt. I got this top from Target on the clearance for $6, and I definitely think the colors make it a great transitional piece for the end of winter. 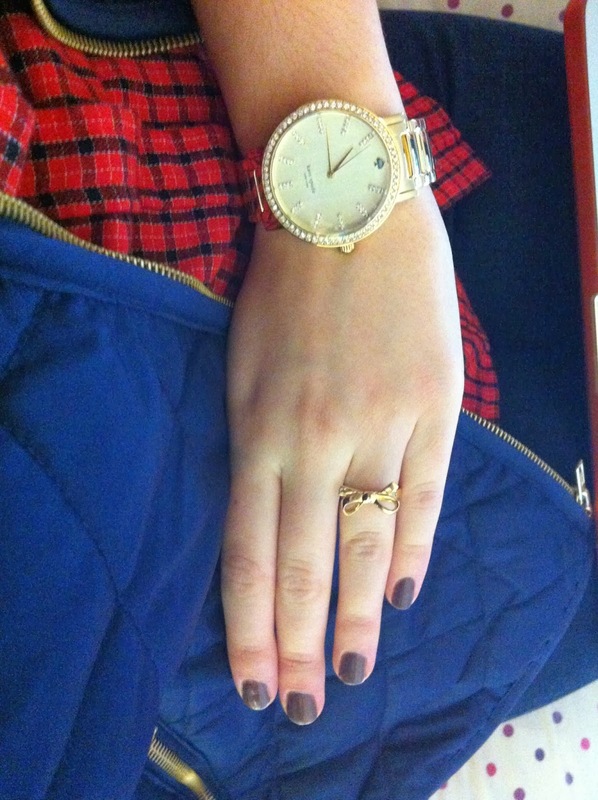 I also wore my gold bow ring and watch from Kate Spade. My brown boots are from Clarks and my jeans are from Oldnavy. I hope you are staying warm and enjoying these last few winter months!